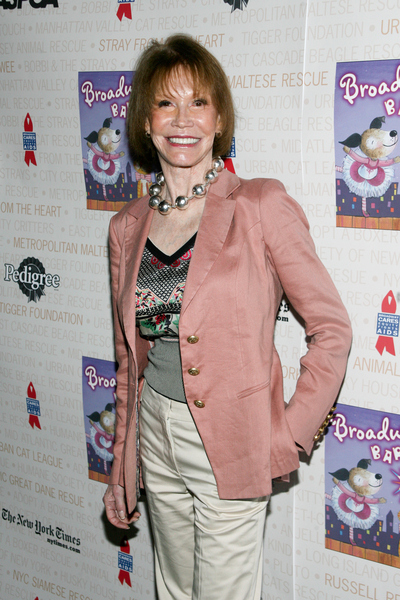 Mary Tyler Moore Pictures: Mary Tyler Moore attends the 12th Annual Broadway Barks! in Shubert Alley on July 10, 2010 in New York City. Mary Tyler Moore and Bernadette Peters hosted Broadway Barks!, a star-studded dog and cat adopt-a-thon benefiting New York City animal shelters and adoption agencies. Celebrity presentations of pets from citywide animal shelters helped many of New York City’s shelter animals find permanent homes by informing New Yorkers about the plight of the thousands of homeless dogs and cats in the metropolitan area.